Against the decision of Trump, the least degree of faith here would be that the Palestinian Authority, the Arab League and the Organization of Islamic Cooperation who will meet in Istanbul in two days decree the end of the peace process. The Arab peace initiative should no longer be on the table. They have to tell the Americans: “It’s over. There is nothing left on the table. If you cancel this decision, we will come back to discuss around the table.” Even at the political and tactical levels, it is a strong, influential and effective logic, though of course we do not believe for a moment in the efficiency or the legitimacy of the way of negotiations. Thirdly, the most important thing, my brothers and sisters, is that the answer to Trump’s decision be an Intifada, as called for by the Palestinian leaders. Not we in Lebanon, nor anyone else in the Resistance Axis or anywhere in the world, can impose on the Palestinians what they must do. Palestinians have always been the first in the Resistance, taking the initiative by themselves and before everyone else, as they also did in the popular struggle and the Intifada. And in this school they have always been very great teachers. The Palestinians themselves are the ones who decide what to do, and it is they who declare the need for an Intifada, and we merely repeat it after them, to assume our responsibility together by their side… Yes, O my brothers and sisters, I want to say today that the absolutely most important answer to Trump’s decision – which constitutes an act of war – is the outbreak of a third Palestinian Intifada. The outbreak of a third Palestinian Intifada throughout all the occupied Palestinian land. This is the great and true answer. It is the responsibility of the Palestinians in the first place, and the entire Arab and Muslim world must stand with them and help them. O my brothers and sisters, O people of Palestine and O peoples of the region. Today, the Resistance Axis and the countries of the Resistance Axis are emerging from the test of the past years against ISIS, and despite the wounds and the evils suffered, they come out triumphant, strong, firmer than ever. This Resistance Axis is about to end its struggles in the region, and to defeat all the takfiris instruments vainly used by the United States and Israel to make it fall and annihilate it. Today, the Resistance Axis will set again as his primary concern and priority, and devote all of its time and capabilities, including Hezbollah, to Al-Quds Jerusalem, Palestine, the Palestinian people, to the Palestinian resistance in all its factions, battalions, brigades and forces – and we count on them all – and we are ready to stand by them. Today, I call for the meeting and union of all the Resistance, to form our ranks after these years of scarcity for Palestine, to heal the wounds and the sufferings which struck this noble body during the last years. I call all Resistance factions in the region – all Resistance factions in the region, and all those who believe in Resistance in the region, to contact each other and meet in order to set… The general position is clear and no one discusses it because it is final: we must face this aggression to liberate Al-Quds (Jerusalem) and to preserve it, as well as the Palestinian cause, against attempts to liquidate it. I call all factions of the Resistance to meet. Why? To agree on a unique confrontational strategy, so that we fight Israel and the United States all together with a common, clear and delimited strategy, and come up with concrete steps on the ground, concerted actions and complementary ways in which roles will be clearly distributed and efforts will be completed in this major confrontation. 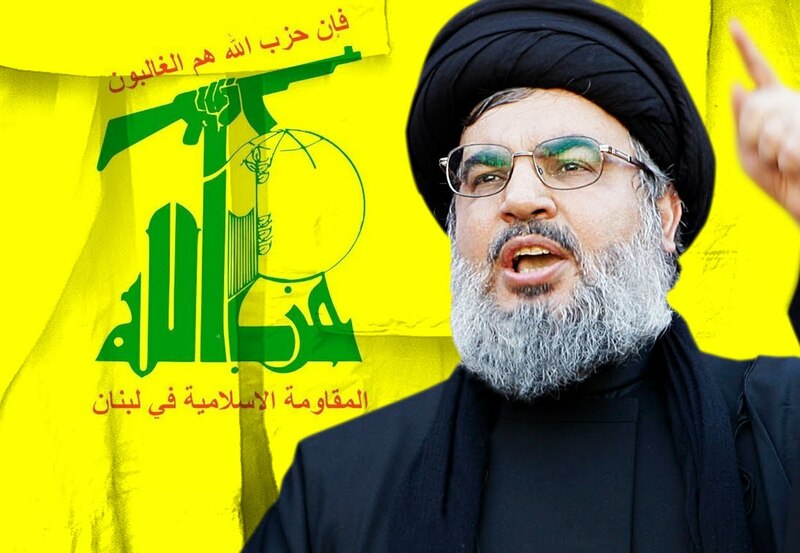 And we, in Hezbollah and the Islamic Resistance in Lebanon, will fully assume our responsibility in this regard. O Palestinian people, O peoples of the region, you must have faith in your God, in the promise made to you by God the Most High: “If you support God, He will come to your rescue and strengthen you.” [Quran, ] And “If God brings you help, no force can defeat you.” [Quran, ]. If God assists us in our action, our unity, our meetings, our responsibilities fully assumed, our massive presence on the battlefields to fight and to demonstrate, the absence of discord, fear and recoil in our ranks, God will grant us victory. Trust in your Lord, in your Islamic Community, of which they want you to despair, have confidence in the Resistance movements and in the Resistance Axis, which never entered a battlefield without coming out of it victorious, the Resistance Axis that brought the Community out of the era of defeats to bring it into the era of victories. O my brothers and sisters, and O people of Palestine: they wanted this decision to be the beginning of the end for Al-Quds and for the Palestinian cause. Let us join forces to make this stupid and evil American decision the beginning of the end of this usurping entity, forever! And let our slogan, our way and our program be “Death to Israel”! [The crowd of protesters chants “Death to Israel!”] We must turn this threat into an opportunity, this danger into success and this diplomatic and political defeat for the Arab governments into victory for the Community, for the peoples, for Palestine and for the holy places. Today or yesterday – so that no one says that I did not comment on this fact – Netanyahu, from Paris, threatened Lebanon, the Resistance in Lebanon and the Lebanese people of such and such thing. He thus wants to turn us away from the essential question, he wants the question of the day to be the weapons of Hezbollah, its missiles, and not Al-Quds, and this is why he talks about missile manufacturing in Lebanon. That’s what I wanted to say today, I’m not going to be longer than I’ve been, but this is our oath, that’s our position, that’s our commitment, and that’s for eternity. We in Lebanon, the country of Resistance, the people of Resistance, the country of sacrifices and martyrs, the country of great men and men of exception, and the land of victories, we were with Palestine even before 1948, since the time of our fathers and grandfathers. We have always stood with Palestine, and we will stay with Palestine until Muslims from all over the world come to pray freely in the Al-Aqsa Mosque, and the Christians from all over the world pray freely in the Church of the Resurrection, after the ultimate destruction of Israel.